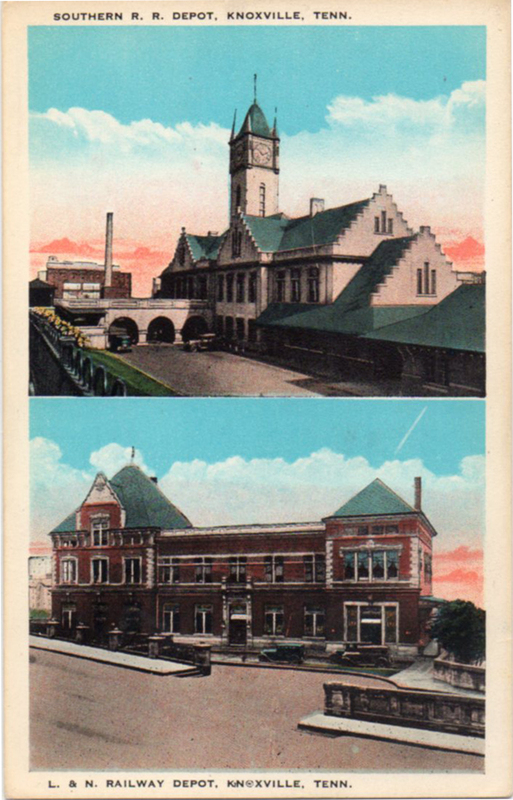 On the front of this postcard are the Southern station (top) and the L&N station. The Southern station dates from 1903; the L&N from 1905. They’re both still sitting around in K-ville, but repurposed. Passenger service persisted until around 1970. 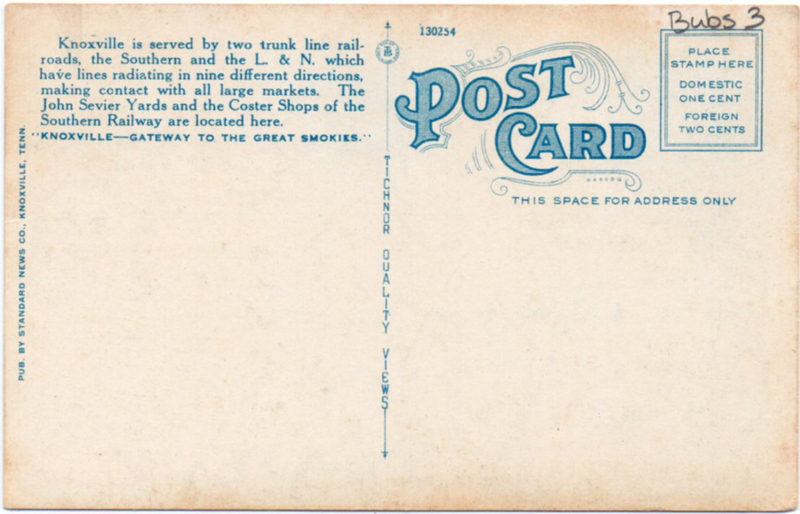 The postcard is a Tichnor Duality Views, published by Standard News Co., Knoxville, Tenn, and dates from the 20s. I don’t have a way to tie an inventory number to a date (there’s not much of anything about Tichnor Publishing Company – they were in Boston – on the web), but the cars look to be 20-ish. It has to be from before 1945, since the clock tower on the Southern station was removed in that year. I won’t say anything about the dealer writing his/her booth designation and price ON THE CARD. Wouldn’t do any good. Posted in Existing photo processed by Bob Lawrence and tagged L&N Station Knoxville TN, Southern Station Knoxville TN, Standard News Co. Knoxville TN, Tichnor Duality Views, Tichnor Publishing Company Boston MA. Bookmark the permalink.